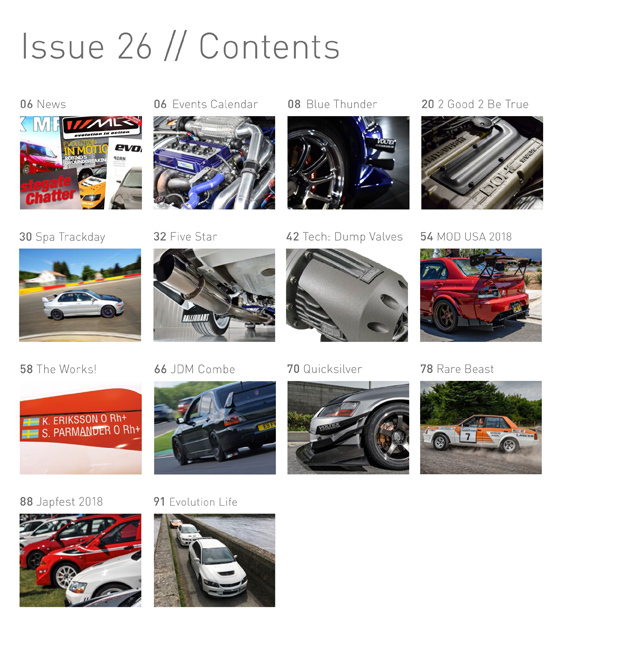 This issue is a bumper 100 page edition and for the very first time (I think!) 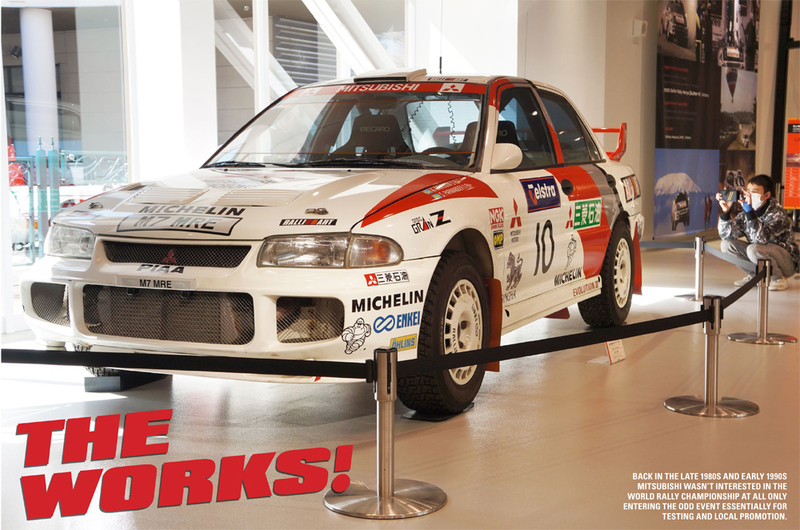 features every generation of Evo and also the Lancer Turbo - so every car the MLR exists for! 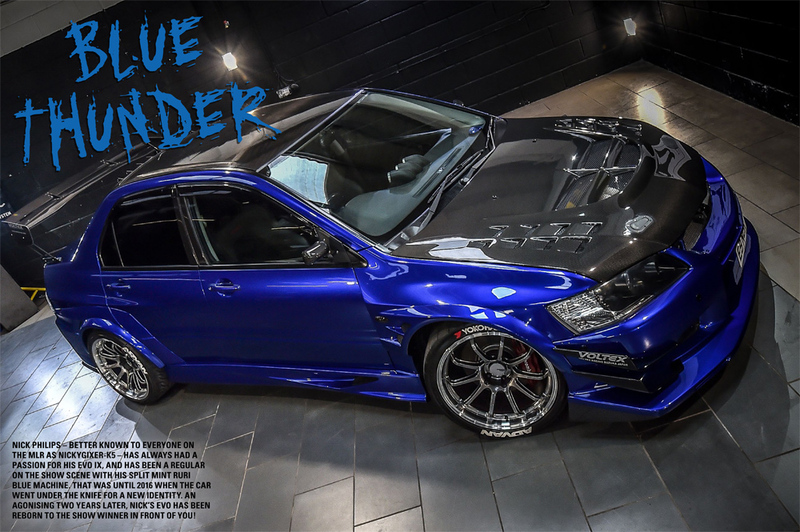 Here's a quick preview of what's inside . . . .
It’s been a LONG time coming, but Nick Phillips (nickygixer-k5) latest incarnation of his Evo IX is now a reality, and worth the wait. 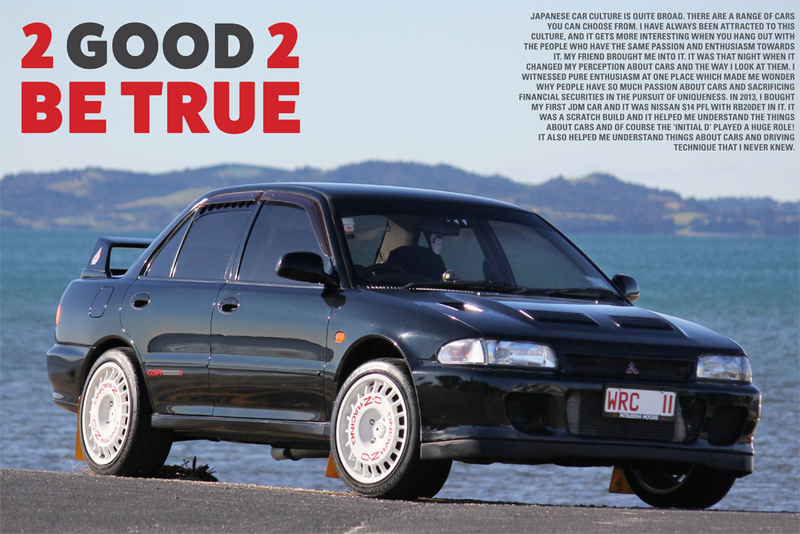 The first of two early Evo features in this issue, and all the way from New Zealand! 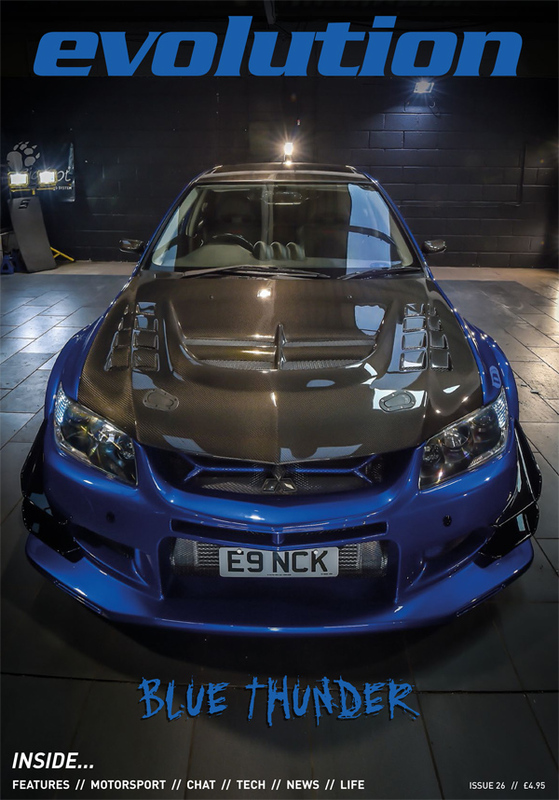 Nicholas Johnson’s exceptional Evo 2 GSR is virtually as it left the Mitsushima factory in Japan back in the early 90s so is a real survivor. 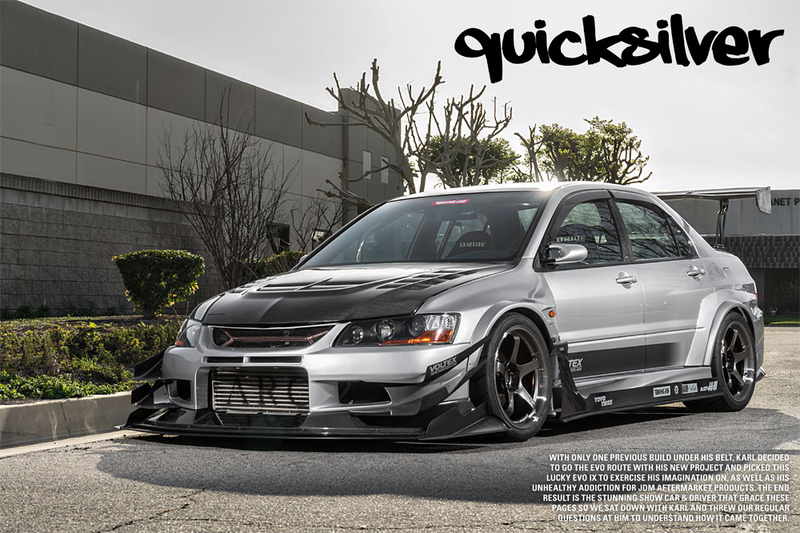 Voltex kits are clearly ‘in’ as Karl’s EvoIX proves. This gorgeous IX has a lot more standout details though, and is chock full of hard to find JDM aftermarket parts. 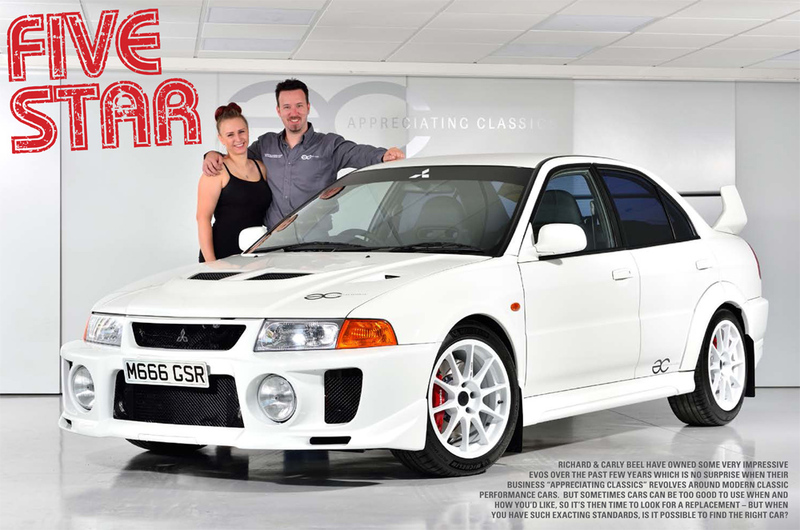 It’s taken 21 years to do it, but for reasons I’ll explain elsewhere it seemed the right time to feature my own ex-works Lancer 2000 Turbo. 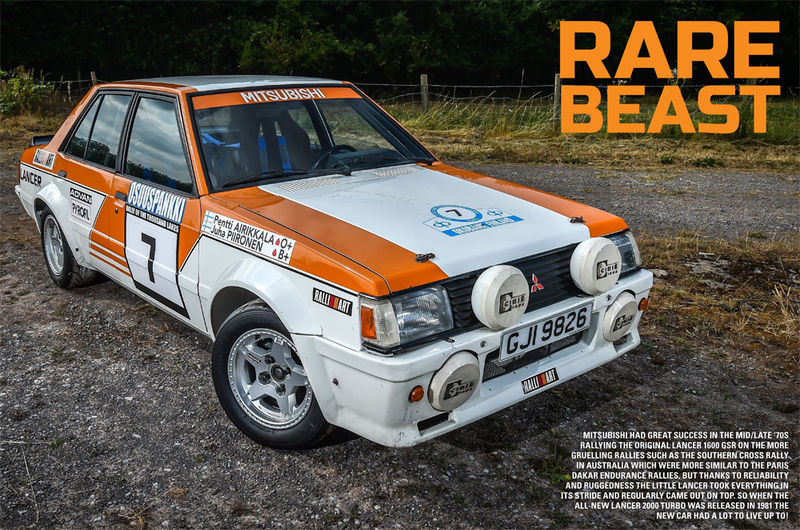 The car that started the MLR, one of only 3 factory rally cars on the planet, and the first car to use the 4G63T engine. Hopefully you’ll agree it’s credentials make it a worthy feature car! i want the paper version!